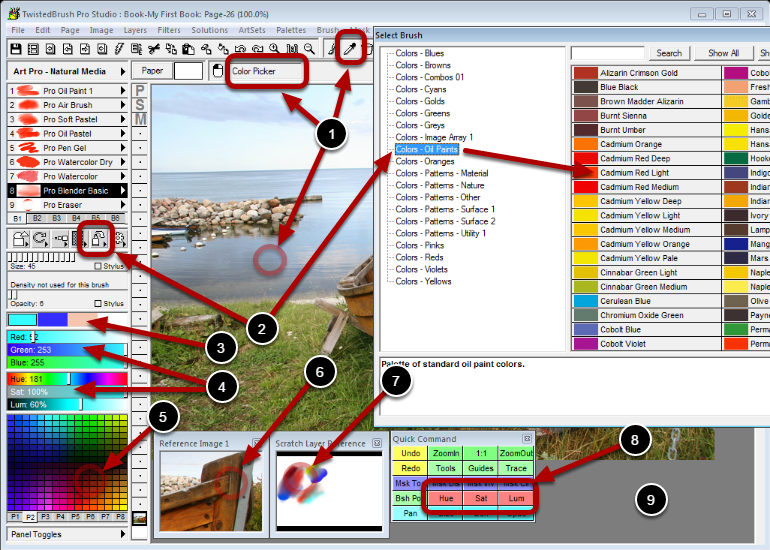 There are numerous ways to select a color in TwistedBrush Pro Studio. Clicking one of the four current colors boxes. Adjusting a selected color with the RGB or HSL sliders. Clicking in a color palette will select the color. Clicking in a Reference Image will select the color. Clicking in a Scratch Layer Reference will select the color. Not show but the Adjust Brush tool also allows HSL adjustments.